Are you an avid diet soda drinker? Do you drink more than two diet soda’s a day? If you answered yes, your cardiovascular health could be at risk. 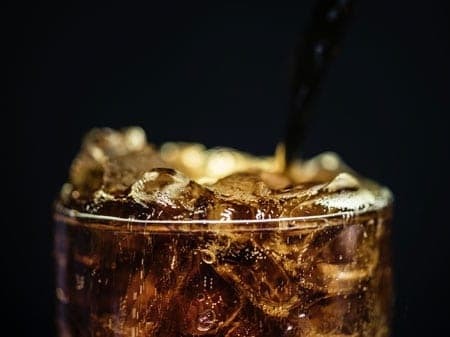 According to a recent study by the American Heart Association and American Stroke Association, diet soda leads to higher risk of stroke in women over 50. The study, focusing on women between the ages of 50 and 79, evaluated the risks of drinking two or more diet drinks a day with (one serving is about 335ml). The results found that diet soda leads to higher risk of stroke in women and the intake increased a woman’s risk of stroke by 23% compared to women who drank one diet drink or less per week. Those women were also 29% more likely to develop heart disease and 16% more likely to die from any cause. Three groups of women were particularly at risk of developing cardiovascular problems – African American and obese women or women without previous heart disease or diabetes. The statistics are alarming for women. “Our research and other observational studies have shown that artificially sweetened beverages may not be harmless and high consumption is associated with a higher risk of stroke and heart disease,” Yasmin Mossavar-Rahmani, lead author of the study and an associate professor at the Albert Einstein College of Medicine in New York said. However, Mossavar-Rahmani continued, “We don’t know specifically what types of artificially sweetened beverages they were consuming, so we don’t know which artificial sweeteners may be harmful and which may be harmless.” The mention of the lack of differentiation is an important factor considering the sheer number of artificial sweeteners currently on the market. The researchers did note that they cannot prove causation and the results of the study may not apply to younger women or men as the results were observational and relied on self-reported by participants. Regardless, the link between diet sodas and cardiovascular health problems should be recognized and understood. Individuals, men and women both, who actively drink more than two diet drinks per day should monitor their health closely, and if any health problems arise, immediately seek medical attention. The study revealing that diet soda leads to higher stroke risk in women is certainly a cause for concern although it is not the first to point out the health risks associated with diet sodas and artificial sweeteners. According to a 2017 Consumer Reports article, nearly half of all adults and a quarter of all children in the United States consume artificial sweeteners. The result is an increased risk of cardiovascular health risks, similar to those found in the recent study mentioned in this blog, as well as obesity, and type 2 diabetes. Research suggests a balanced diet of nutritious foods is beneficial, and eliminating diet drinks sweetened with artificial sugar, will benefit the overall health of your body. *”The Women’s Health Initiate is a long-term national health study focused on strategies for preventing heart disease, breast and colorectal cancer, and osteoporotic fractures in postmenopausal women.” To learn more about the WHI, click here. Calderone, Julia. "The Mounting Evidence Against Diet Sodas." Product Reviews and Ratings - Consumer Reports, 24 May 2017, www.consumerreports.org/soda/mounting-evidence-against-diet-sodas/. Craig T. January , L. Samuel Wann , Hugh Calkins , Lin Y. Chen , Joaquin E. Cigarroa , Joseph C. ClevelandJr , Patrick T. Ellinor , Michael D. Ezekowitz , Michael E. Field , Karen L. Furie , Paul A. Heidenreich , Katherine T. Murray , Julie B. Shea , Cynt. "2019 AHA/ACC/HRS Focused Update of the 2014 AHA/ACC/HRS Guideline for the Management of Patients With Atrial Fibrillation." Arteriosclerosis, Thrombosis, and Vascular Biology, 28 Jan. 2019, www.ahajournals.org/doi/10.1161/CIR.0000000000000665. Hosie, Rachel. "There's Even More Evidence That Drinking Diet Soda Is Bad for You." INSIDER, INSIDER, 15 Feb. 2019, www.thisisinsider.com/diet-soda-linked-to-higher-risk-of-stroke-and-heart-disease-older-women-study-2019-2. LaMotte, Sandee. "Drinking Two or More Diet Beverages a Day Linked to High Risk of Stroke, Heart Attacks." KMOV | News 4 St. Louis, 14 Feb. 2019, www.kmov.com/news/drinking-two-or-more-diet-beverages-a-day-linked-to/article_b44400ac-306c-11e9-908d-234566628037.html. "Welcome to the Women's Health Initiative." WHI, National Institutes of Health (NIH), National Heart, Lung, and Blood Institute (NHLBI), www.whi.org/SitePages/WHI%20Home.aspx.